An Olympic silver medal is something to be proud of. Unless you’re this Canadian hockey player. 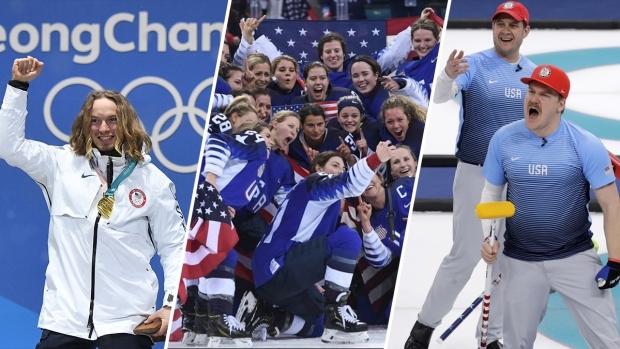 U.S. women beat Canada Thursday 3-2 in the first shootout in an Olympic women's hockey final, snapping the Americans' 20-year gold medal drought and ending Canada's bid for a fifth straight title. Canadian defender Jocelyne Larocque was so upset she yanked off the silver medal immediately after it was placed around her neck during the medal ceremony. The other 22 Canadian players were left stunned or in tears. Larocque held the medal in her hand during the rest of the ceremony. An official from the International Ice Hockey Federation reportedly told her after the ceremony that there are "legal" reasons why she can't refuse to wear the medal. Later, Larocque apologized for removing her medal and called being on the podium a "great achievement." "In the moment I was disappointed with the outcome of the game, and my emotions got the better of me," Larocque said in a statement. "I meant no disrespect - it has been an honour to represent my country and win a medal for Canada." Larocque was criticized on Twitter for poor sportsmanship, while some felt sorry for her. Team USA’s victory came 38 years to the day after the men's famous "Miracle on Ice" win over the Soviet team in group play at Lake Placid. On Thursday, Jocelyne Lamoureux-Davidson scored the shootout winner for the Americans. "There's not a lot of words that can describe how you feel," Canada coach Laura Schuler, who was part of the team that took silver in Nagano 20 years ago, told CBC. "It was a great game of hockey. It's what we expected: back and forth hockey."